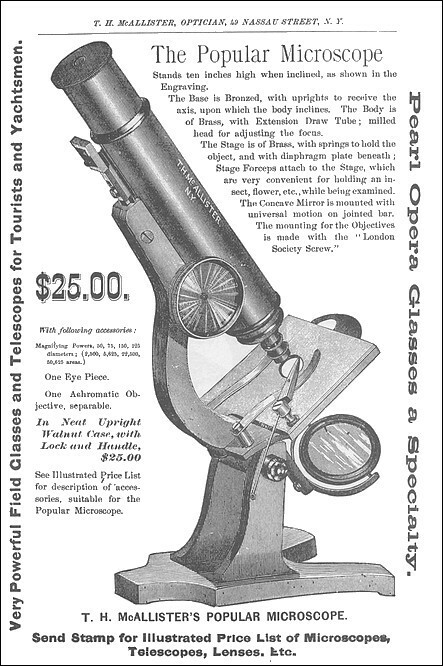 Typical of the microscopes manufactured by T. H. MaAllister is that the the coarse focus mechanism utilizes a fusee chain instead of the much more common rack and pinon method. The McAllisters were a family of opticians that were active in the scientific instrument trade for over a century starting in the late 18th century with John McAllister Sr. (1755-1830). They had businesses in Philadelphia and later in New York. Thomas. H. McAllister (1824-1898) moved to New York around 1865. 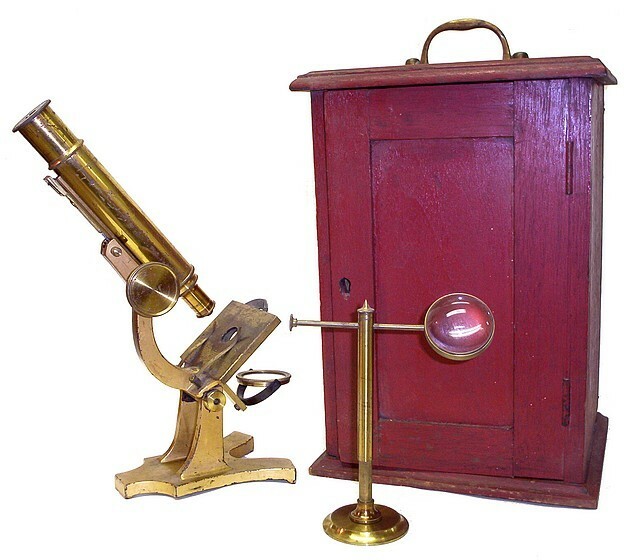 Unlike the Philadelphia based part of the family, he actually manufactured and sold his own microscopes as well as those by other manufacturers. See: the McAllister Family Business Timeline.